Every year, Apple decides to dash out their new range of MacBook Pro lineups, and each year we’re excited to talk about them. This year isn’t any different, the latest MacBook Pro 2018 is packing a serious punch for the money and is Apple’s most powerful laptop yet. But is the 2018 MacBook Pro powerful enough? Let’s take a look. The top end MacBook Pros will be strapped with 8th generation Core i5, Core i7, and Core i9 Processors, which are promising better performance, up to 70% in fact. The new models will be coming with the infamous and often controversial Touch Bar, and the base price will be around $1,799 (£1,749, AU$2,699). *The T2 Chip is responsible for controlling the stereo speakers, internal microphones, and dual cooling fans, all by itself. **True Tone Display adjusts color and brightness output to compensate for changing environmental lighting conditions. It’s a subtle feature, but we’re pleased to see it make the switch to macOS. The new MacBook Pros are a step up over the last generation. Because of the 8th generation processors, faster memory and improved storage capabilities, they have left their competitors behind. The six-core core i9 chip and the discrete Radeon Pro graphics chip in the 15-inch model gives the customer massive processing power in a laptop format. Not only can the Core i9 processor hit up to 4.8 GHz on the clock speed because of the Turbo Boost technology, but the Radeon Pro 560X graphics card paired with it, makes it agile, and more than capable for home studio tasks, production tasks, and heavy gaming. The 13 Inch model isn’t a slouch either; it has a powerful 8th Gen core i5 and core i7 processor which brings about massive performance gains compared to the 2017 MacBook Pro 13-inch model. Paired with the better memory and more storage options, it’s a perfect partner for both production, home studio work, and light gaming. 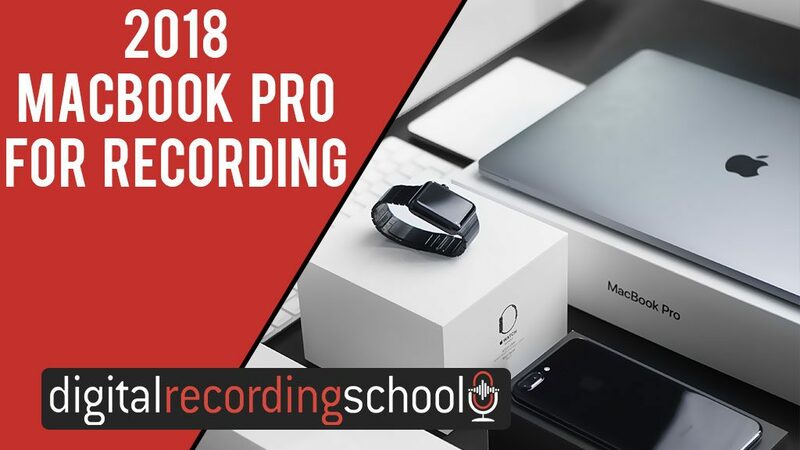 Are you thinking about grabbing up a 2018 MacBook Pro for recording? High-end audio work can be quite processor extensive which can drain the life out of most processors on the market. Luckily, both the 13-inch and the 15-inch MacBook Pros are paired with the fastest processors on the market which are capable of audio work ranging from beginner to professional, depending on the model of the 2018 MacBook Pro. If you’re going to choose the 2018 MacBook Pro for recording, you may not need the highest end model. However, if you’re someone looking for more mixing and editing work, 3D design, video editing, having a beefy graphics chip will help you with your work. Consider getting the i9 15-inch MacBook for higher-end processing power for 3D workloads. Music Software is known to be very RAM-hungry, and this has become a serious bottleneck when it comes to the MacBook Pro models in the past. However, if you’re choosing the 2018 MacBook Pro for recording, you’re getting more Ram with your 13-inch and 15-inch models. You can order the 16GB ram MacBook Pro or the up to 32 GB Ram model with the 15-inch MacBook Pro Model. In the past, storage had also been an issue; not anymore though. The models top off at 2TB SSDs for the 13 inch model and 4TB for the 15-inch model. Every entry-level MacBook Pro now have a 128GB SSD, but you can upgrade it depending on your needs. I’ve made it my mission to defeat the studio tan. In the old days of recording there, I was, locked away in my basement without a single window. 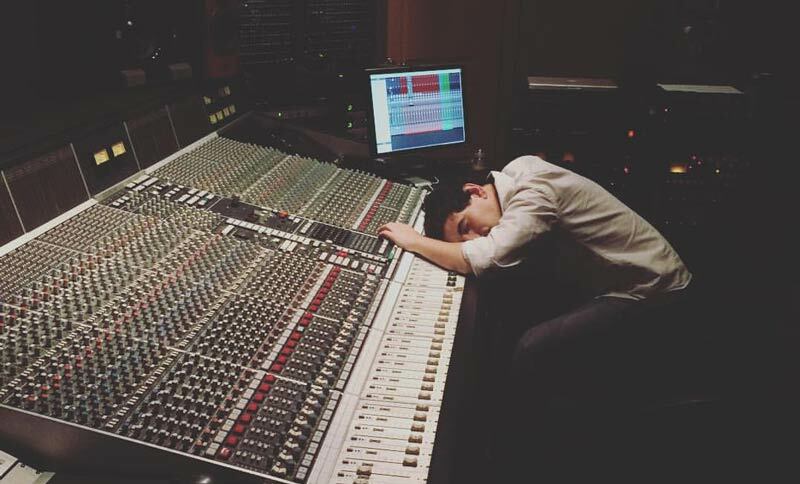 I stood hunched over my console editing the band’s tracks. Only the harsh fluorescent lights above me illuminated the empty red bull cans sprawled across the floor. I stood in front of my desktop with a giant 52” TV as my computer monitor as I edited drums and worked tirelessly on my projects. In the height of summer, I still had the skin tone of an albino crocodile. Those were the days where nothing was portable. Now I can work on buses, planes, trains, and coffee shops. 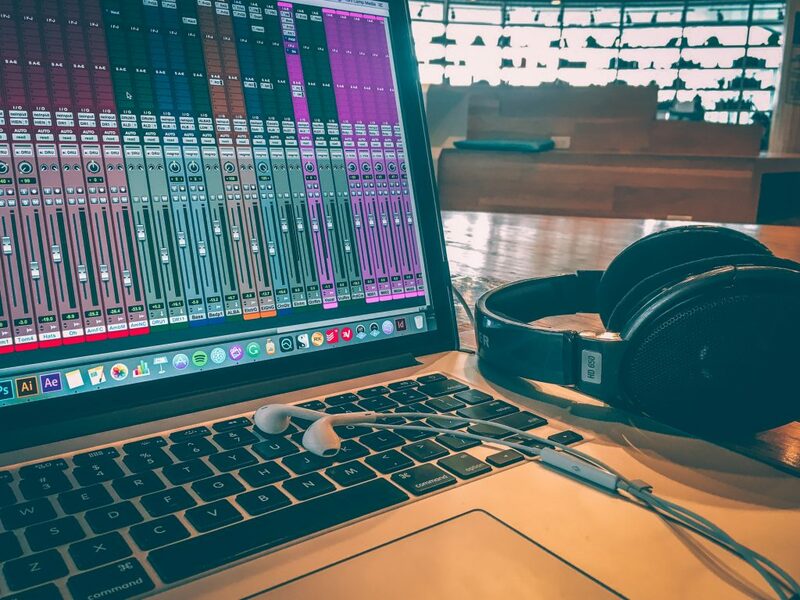 I can edit drums and tune vocals in an airport. I can mix records in the park on a blanket. Thanks to great mixing headphones and incredible analog modeled plugins, I am free to move anywhere. For your mental health, this is a good thing. For business, it is even better! The 2018 MacBook Pro for recording, producing, and video editing is the answer to your portability problems. Before you buy the newest MacBook, you need to consider whether or not you need portability. 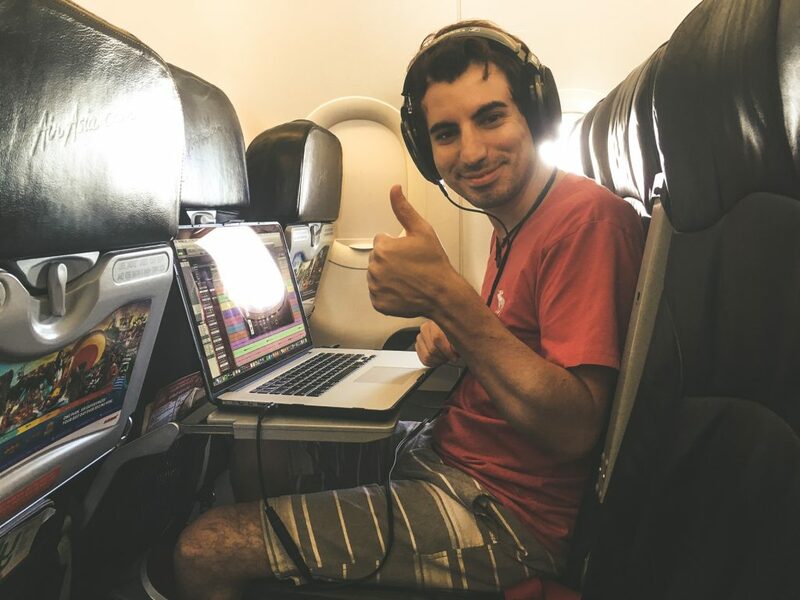 If you’re moving around, working with musicians in different locations and countries, you will need to get a laptop since it’s impossible to lug around a massive iMac in your traveling case. I prefer getting the higher-end 15-inch MacBook Pro for your home studio needs because it can be an alternative to an iMac and the extra processing power can always come in handy one way or another. Both the 13-inch model and the 15-inch model supports Thunderbolt 3 which supports 40GB/s data transfer, charging capabilities from every form, eGPU (external graphics card) and two 5K displays, which is excellent for home studios. You can never have too much screen real estate. Final Cut Pro X, Logic Pro X, Autodesk Maya, Blackmagic Fusion Studio, Adobe Lightroom Classic, Adobe Photoshop CC, among various music creation and audio software have up to 70% better performance compared to the last generation. Your 2018 MacBook Pro for your home studio will be the most powerful piece of technology you will own in a very compact and versatile form. When it comes to mixing, I don’t think you can beat having a 2018 MacBook Pro with a pair of Sennheiser open back HD650s loaded with headphone calibration software. This is because the MacBook has a beautiful layout, is built like a tank, and the powerful CPU means it can handle any plugin you throw at it. Think about it this way. Your CPU = plugin processing and your RAM = VST and virtual instrument processing. This makes the new i9 processor a monster when it comes to mixing records in the box. When was the last time you saw a musician on TV use anything else than a MacBook Pro in their live rig? Never? There is a good reason why. Macs are great for music production AND music performance. Whether you are producing hip-hop, EDM, pop, or bands the new 2018 MacBook Pro can handle it. What were the differences in the old MacBook Pros vs. the new 2018 MacBook Pro for producing? When you are producing, you tend to use a lot of VSTs or virtual instruments. These are very heavy on your RAM usage. With the older maxed out MacBook Pros only hitting 16GB of RAM, this was a problem once you started moving into heavy production. Having 32GB is a significant upgrade. Pro Tip: When you have sample libraries, I highly recommend housing them on an external SSD drive like this. Most times I see producers complaining about their computer’s speed when it is their drives that are bottlenecking the VST speed. The killer speed will give you everything you need to produce loads of tracks and plugins. The storage on the MacBook Pros are lightning fast because of the flash storage. I recommend having your programs on the flash storage internally, having an external SSD for your sample libraries and working projects, and setting up a RAID array to back up your archived projects as you go. MacBook Pro offers more space for future proofing your computer. MacBook pros have great portability, and this gives everything you need to record and make music on the way. The MacBooks built today are not upgradable aftermarket. Meaning you can’t open them up and upgrade them once you purchase them. The solution to this is for you to upgrade your MacBook to the fullest specifications that you feel comfortable with on the day of purchase. For this reason alone, I would never go with a stock 128GB internal drive. I believe in the “buy once cry once” rule of business. I like to buy the best and most reliable thing that I can get to future proof it. Something else to consider is this. What is your current client load? What other upgrades could you use in your studio? The computer is the heart of your studio, but if you’re like me and rocking a 2015 MacBook Pro that is maxed out, you may not need to upgrade just yet. There are plenty of other areas that you can invest in. This is something that only you can decide, but it is essential. While a lot of people would rather go for iMacs for their home studio or recording needs, the need for getting a bulky, and much more expensive iMac models is dwindling. The basic reason is that the 2018 MacBook Pro for recording offers a powerful processing system in a very compact form. With the i9 processor and Radeon Pro 560X processor in the higher-end 15-inch model, more storage options and up to 32 GB of RAM, you can have the power of a desktop with the portability of a laptop. At the end of the day, the newest Mac is one of the most powerful pieces of technology for productivity, recording, editing, and video on the market. By the way, for anyone that is mixing their own music I recently released a book on Amazon that hit the Best-Seller’s list. To celebrate it’s success I am giving it away for free. Just click the box below to sign up.